Sat and Sun 23rd/24th June at Hatherley & Reddings CC. 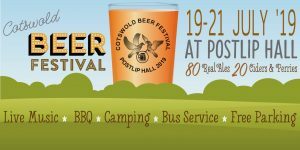 26 beers/ciders with the majority from local brewers including Gloucestershire Camra beer of 2017 Goffs Cheltenham Gold. £5 entrance Sat, no charge Sunday. All beers £3 a pint. Cricket, BBQ, Wine Bar both days. Ukeholics performing Sat night. All profits go to charitable causes. A visit to the Great Welsh Beer Festival in Cardiff. Over 120 beers and 60 ciders will be available at “The Depot”. An all-day ticket costs £7, with a £1 beer token for card carrying CAMRA members. See their website (above) for full details. Please contact Veronica for further details. We’ll be catching the 10:10 train from Cheltenham, returning at 18:06. For anyone going by train, then it is advised that due to the location of the event, you use the south exit at Cardiff station (near platform 8). 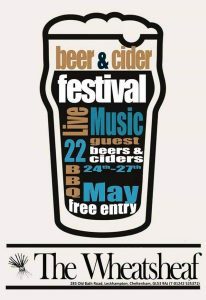 CAMRA is again offering you the opportunity to visit cider producers. During the trip you will have the chance to visit orchards, spend time with experienced producers and find out how they make their cider. The trip takes place on 13th October 2018 and the itinerary is as follows: The bus will depart from Worcester Shrub Hill Railway Station at 11:00am and then visit Tardebigge Cider, Tutnall (where lunch is available) and Barbourne Cider, Worcester. We will then return to Worcester Shrub Hill Station for 6pm. Please have appropriate footwear with you for cider farms and orchards. There may also be short walks during the trip. The cost of the trip is to be paid in full when booking. Booking can ONLY be made via Eventbrite at https://www.eventbrite.co.uk/e/national-cider-perry-trip-2018. Trip bookings can ONLY be made from 9am on Monday 6th August 2018. Those without internet can contact Liz Wickham on 01727 798459 with your card details. PLEASE NOTE: NO REFUNDS ARE AVAILABLE. If you have any queries please contact Andrea Briers on 07732 754888. 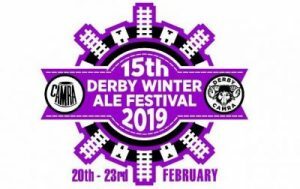 Tewkesbury CAMRA are running a bus to the 15th Derby Winter Ale Festival, which features over 400 cask ales ciders and perries. 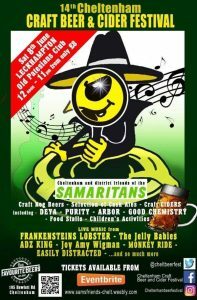 The bus will leave the Black Bear at 10:00am, so you’ll need to make your own way there (bus 41 from Cheltenham). Expected to be back in Tewkesbury for 7:00pm. Cost of the bus is circa £15. You can check the entry cost on the Derby CAMRA website. To book a place, please contact Bill at socialsecretary@tewkesbury.camra.org.uk directly.